We look for ideas and groups of people with the capacity to make an important difference. The Foundation isn’t big enough to single-handedly fund a project that will change the world, so we support high-performing grantees whose local or regional impact can serve as a model in the national or global arena. The Honorable Abraham D. Sofaer is the George P. Shultz Distinguished Scholar and Senior Fellow at the Hoover Institution. 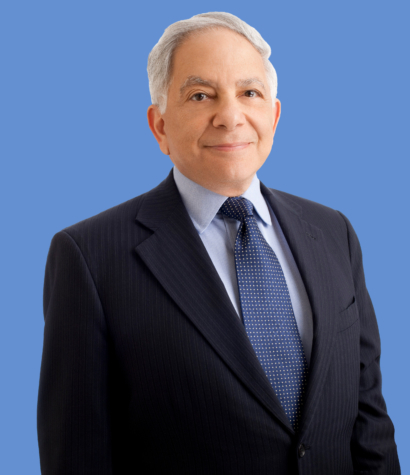 He has served as federal district judge in New York (1979–85) and as Legal Adviser to the U.S. Department of State (1985–90). Currently, he concentrates on issues related to terrorism, international law, diplomacy, and national security. He has taught periodically as an Adjunct at the Stanford Law School, most recently a course in U.S. Arbitration. He also serves as an arbitrator and mediator in commercial cases, both in the U.S. and abroad. He has served on several public and private commercial boards of directors, and as an advisor on corporate and litigation matters. Previously, he was a professor of law at Columbia University, where he focused on separation-of-powers issues in the American system of government. While teaching at Columbia, he wrote War, Foreign Affairs & Constitutional Power: The Origins. He has also served as Assistant U.S. Attorney in the Southern District of New York and was a clerk to Judge J. Skelly Wright on the U.S. Court of Appeals in Washington, D.C., and to The Honorable William J. Brennan Jr., Associate Justice of the U.S. Supreme Court. Mr. Sofaer has written many articles and books on terrorism, the Middle East peace process, and the use of force in international affairs. Mr. Sofaer received an LLB degree from New York University School of Law, where he was editor in chief of the law review. He holds a B.A. in history from Yeshiva College, where he has been awarded an honorary doctorate. Mr. Sofaer served for many years as President of the American Friends of the Koret Israel Economic Development Funds. He is a founding trustee and vice chairman of the board of the National Jazz Museum in Harlem.